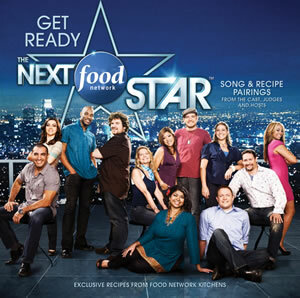 Are you mourning the dismissal of hunky Brad Sorenson on Season 6 of “The Next Food Network Star?” Join the club! This season is still in full swing and the show has readers buzzing about the personalities and talents. But behind the scenes, the groundwork for Season 7 is already being laid. So, what are producers looking for? “Someone with a good on-camera personality who speaks knowledgeably,” says casting director Jennifer Sullivan. And, if past season winners like Guy Fieri and Melissa d’Arabian are any indication, a hearty dose of charisma really goes a long way, too. For those thinking of applying, it’s okay if you don’t have an exact show concept in mind yet. “You don’t necessarily have to have your point of view 100 percent, but it’s important to know why you are so passionate,” says Sullivan. She says it’s also key to have culinary knowledge (and be able to communicate it on camera). But don’t worry – you don’t have to be a trained chef, as long as you know how to cook. “We are just looking for someone to shine,” says Sullivan. Could that someone be you? To apply, you have to be at least 21 years old and a legal resident or citizen of the United States. Open casting calls are being held in numerous cities including Atlanta, Los Angeles, New Orleans, Denver, New York, Philadelphia, Nashville and Cleveland, starting on Friday and running through late September. Can’t make it to the casting call? No prob. Just make a video and send it in. And, yes, Sullivan says, they do watch them all. To find out more, or to apply, go to http://nfns7casting.wordpress.com/.